GMIMS Blogger and current medical student Anthony Jones shares his experiences of intercalating in Medical Humanities at Bristol Medical School. 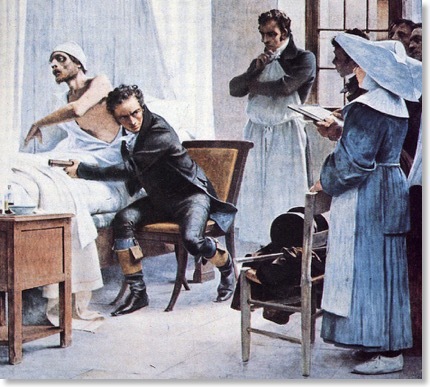 Is there a place for humanities in medical education? As prospective medical students you may feel that you are resigning yourself to a career where opportunities to exercise your creativity is going to be significantly reduced. I certainly had these reservations and they were the source of much disillusionment in my pre-clinical years amidst the multiple-choice examinations, the learning of lists of drugs and perpetual regurgitation of differential diagnoses. However this year I was given the opportunity by Bristol to intercalate in Medical Humanities, a one year BA that draws upon English Literature, Philosophy and the History of Medicine to consider medicine, disease and the experience patients in a refreshing and revitalising context. Not only have I thoroughly enjoyed the chance to use the part of my brain that I feared was becoming decrepit with inactivity, but I now feel enthused to return to the clinical setting as I have become aware, to my delight, that this rotten demise of creativity doesn’t have to be the case. In fact with the right proactivity and dedication you can exercise it for the rest of your career. In my first teaching block I studied two units; the Philosophy and History of Medicine, a third year philosophy unit, and Approaches to Poetry, a first year English Literature Unit. I had never studied philosophy before and hadn’t studied English since GCSE, so whilst I anticipated the teaching block eagerly, I did so with a degree of caution and nervous apprehension. I was with twelve other medical students embarking on the same endeavour, which made the adjustment to a thoroughly different style of teaching and learning easier; strength in numbers and all that. In reality it was painless, and the content was fascinating. We discussed whether a disease was an objective or subjective concept, and looked at the views of the philosopher Christopher Boorse who argues the former, stating disease is purely biological dysfunction. This provoked interesting discussion; for example, many people who live with life-long disabilities don’t know any different and wouldn’t consider themselves diseased; surely it is up to the discretion of the individual to make that judgement? I am only scratching the surface of the discussions that were had, and in future weeks we went on to look further at medical history; the paradigm altering work of Ignaz Semmelweiss, humiliated and ignored when he was alive, the bacterial revolution of the nineteenth century, and the rise of hospital medicine in the wake of the French revolution to name a few. Dr Ignaz Semmelweiss on the ward. His pioneering work on hand washing greatly reduced infections in 19th Century. As I write this now, I have had my first week of teaching block two. I have had a seminar in Literature in Medicine, and a lecture on the philosophy of death, dying and disease. We discussed the different representation of TB and cancer in literature; the spiritual and poetic death of nineteenth century characters from consumption (Helen Burns sanguine death in Jane Eyre for example) compared with the modern representation of cancer; as something we must ‘fight’, something portrayed as wretched and belligerent. In Death Dying and Disease we looked at some of the questions we would discuss throughout the term. Is death only tragic for us because we are capable of having a meaningful life? What makes it meaningful; consciousness, rationality, free will? Since we actually have the option to choose death, are we positively choosing to live another day by not killing ourselves? I look forward to the rest of term, where I will also be beginning my dissertation, looking at the Smallpox pandemics brought to the Aztecs by Christopher Columbus in the fifteenth century, and considering how their religious belief augmented their existential distress in the face of this Old World disease, they perceived as punishment from God. You many wonder why in light of enjoying studying humanities so much and having struggled with pre-clinical medicine to such an extent, I am excited about returning to the MBChB programme. I have realised I was foolish to think there is no opportunity to draw upon an interest in the humanities in the study and practice of medicine. There is always an opportunity to write about the remarkable things we as future doctors will have the chance to see. Anyone doing such emotionally invested work should learn to express themselves and the Arts are a fantastic and fecund way of channelling that. There is always the chance to share a love of the Arts with colleagues and patients, and to forge an inextricable link between these other interests and the things that as doctors we are incredibly privileged to do. Whether it be by reading poetry or by philosophising about what it means to be healthy and diseased, the humanities elicit a much broader understanding of the holistic experience of a patient, and through that enable the best from any future doctor, in treating the people they are inadequately trained to teach by an education to regimentally adherent to the facts and numbers of what shouldn’t be an explicitly scientific discipline. I implore you not to sever ties with the humanities when you begin studying medicine. 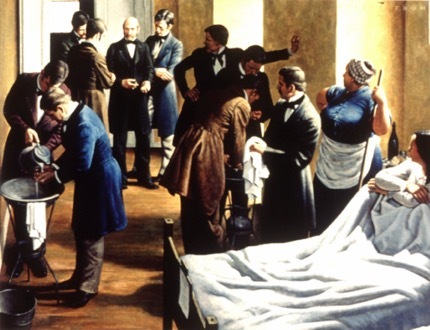 Further information on the Bristol Medical Humanities BA course can be found here. GMIMS Blogger Anthony Jones is currently intercalating in Medical Humanities between 2nd and 3rd year at Bristol Medical School. He wrote a play aged 11 and won the BMA news Medical Journalism Competition in 2013.